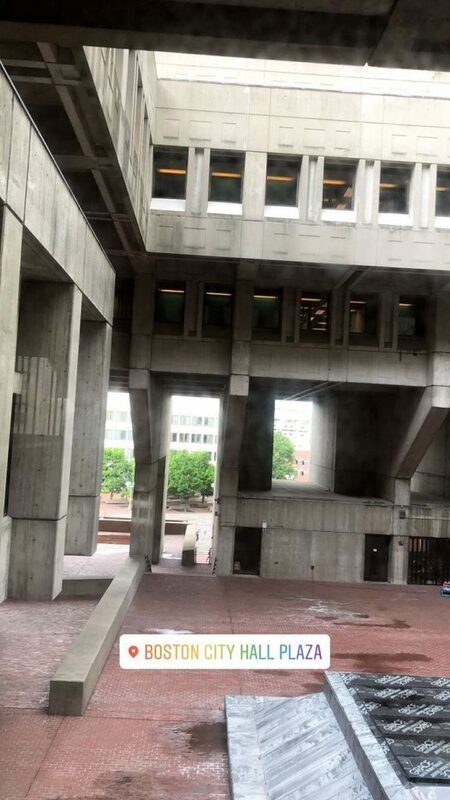 Earlier this summer, on the morning of Monday June 25th, I found myself at the Starbucks outside Government Center to meet with Andy Brooks (BSC co-founder) and attend my first ever Boston City Council meeting. This particular meeting was focused on the implementation and roll-out of a potential municipal curbside composting program in Boston. Andy was asked to participate in a panel discussion of experts in the field of composting. Joining him were Lor Holmes, General Manager at Cero Co-op (a commercial composting company out of Dorchester), Laura Orlando, adjunct professor at the BU School of Public Health, and Kirstie Pecci, director of the Zero Waste Project and a Senior Fellow at Conservation Law Foundation. It was definitely a who’s-who of the Boston compost and food waste elite. Councilors Matt O’Malley and Lydia Edwards represented the City of Boston during the meeting. O’Malley serves as Chair of the Committee on Environment, Sustainability and Parks and was the sponsor of the hearing. He appeared to be a very passionate advocate for curbside composting, as a means to improve environmental efforts in the city and abate some of Boston’s greenhouse gas emissions (primarily methane emissions from food scraps rotting in landfills). The meeting served as an assessment of the feasibility of this program for the city. 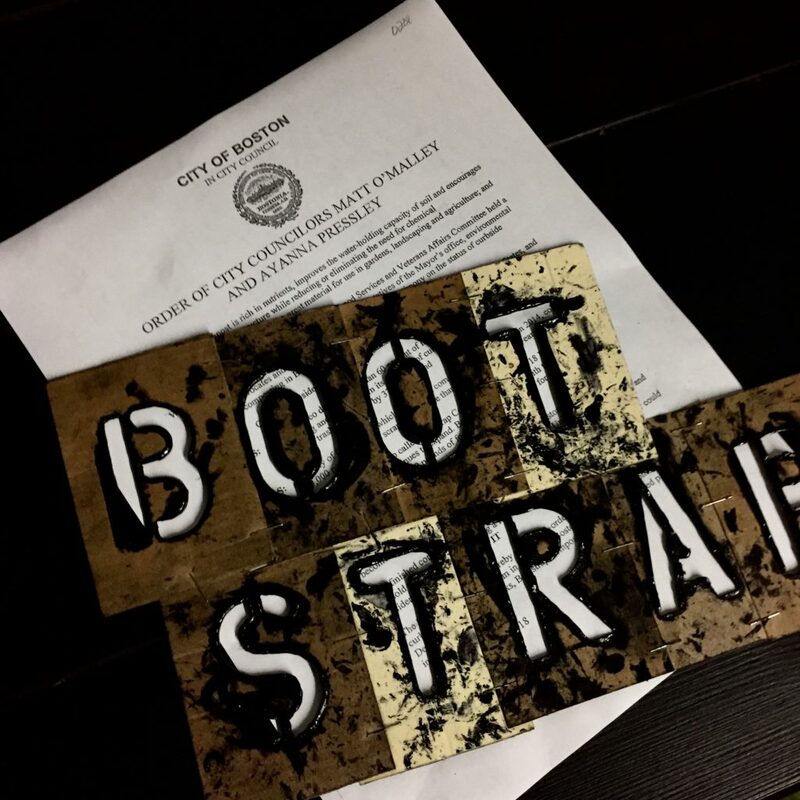 The city was weighing the options between hiring out a company like Bootstrap to handle the pickups or doing it themselves. I came out of the meeting with a more nuanced perspective and have a few thoughts on the situation. One of the major takeaways from the meeting was the nature of industrial “composting” done by many municipalities. In the case of Cambridge, I learned that food scraps from their curbside pickups are mixed with sewage sludge and anaerobically digested to produce 1.) biofuel through methane capture and 2.) biosolids, or a pelleted product that is marketed as fertilizer. There is much debate that exists about this final product. Some argue that it is a nutrient-rich resource worth recycling back into agricultural and land based systems and that any chemicals and or toxins present are at low enough levels that it can be deemed as safe. Others, like Laura Orlando, wholeheartedly disagree with this assessment of safety. They argue that once food scraps are added to sewage sludge, that resource becomes essentially wasted as many of the toxins in wastewater can’t be broken down biologically and remain in the product for many years. Laura and Lor both advocated for separating the city’s food scraps from the wastewater stream and instead mixing it with the many tons of yard waste generated by city lawns and gardens. Food scraps are well known to aid in the decomposition of yard waste. For those familiar with the concept of “browns” and “greens” in composting, the yard waste serves as a large supply of “browns” (carbon rich material) and food scraps provide “greens” (nitrogen rich material). Browns and greens at the correct ratio provide microbes within the pile the right diet to generate compost. After doing my research on sewage sludge or “biosolids” I am also in favor of the city separating food scraps from wastewater and composting them in a traditional sense. I understand however, that it is a more labor intensive process and would require the city to have access to more land. I do not have a problem with the Cambridge model of anaerobic digestion and methane capture as a way to harness a fuel source – it is another effective way to deal with large amounts of material with less space. However, in an ideal scenario, the slurry created by the digester would not be mixed into the wastewater stream. In other words, without adding sewage, the slurry can be composted further and made into a safer and more stable product for use in farms and gardens. Ultimately, the whole situation proves that sometimes knowledge can be a curse. It is often more easy to think of trash, recycling and compost as something that disappears once it gets picked up by a truck, but in reality, that is far from the truth. As my career takes me deeper into the food industry I am sure I will encounter more of these paradoxes. I’ll be curious to see what the city decides to do in the coming year about food waste collection and composting. That is all for now, check in soon for my next post and further ruminations.